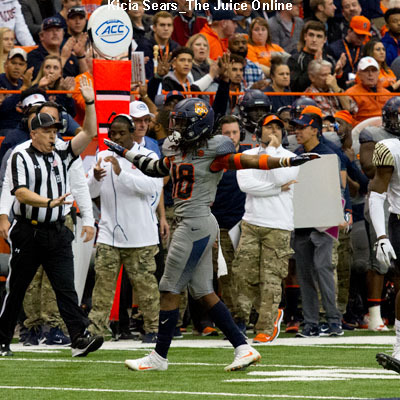 WHAT HAPPENED: Syracuse (4-8, 2-6) was unable to eclipse last year’s four win total, playing catch up the entire afternoon. Bowl-bound Boston College (7-5, 4-4) had its way on both sides of the ball, punting only once, and shutting the Orange out in the second half, coasting to the victory. 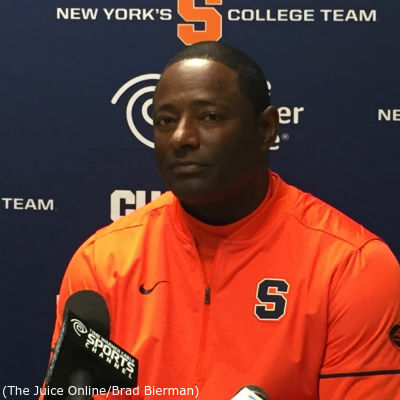 ANALYSIS: Raising some eyebrows, SU coach Dino Babers elected to give redshirt freshman quarterback Rex Culpepper his first career start. Although Culpepper was functional at times (24-of-34 for 280 passing yards), frequently finding departing, record-breaking receivers Steve Ishmael and Erv Phillips (a combined 19 receptions), his inexperience was evident in getting any sort of consistent offensive tempo. 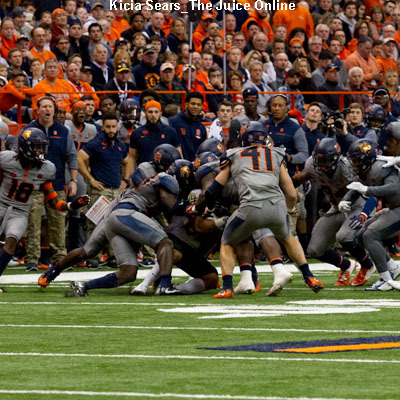 The ‘Cuse defense was shredded for 581 yards of total offense by the Eagles. HERO: Before the game was all but over, Boston College freshman running back AJ Dillon, a front runner for ACC rookie of the year, scored three touchdowns and gained 193 yards. BC quarterback Darius Wade threw for a career-high 248 yards. ZERO: In line with the program’s disastrous record in November, the Orange defense gave up 27, 64, 56, and 42 points, respectively, in the four games of the regular season’s final month, making it virtually impossible for the SU offense to have enough time to score enough points in all but one (Florida State) of the Nov. games. WHAT’S NEXT: The off season, unfortunately, after Syracuse failed to make a bowl game with its sub .500 record, stretching the postseason-less streak to four consecutive years. The new early recruiting signing period is Dec. 20-22, followed by the traditional signing day on Feb. 7, 2018, so the coaching staff will be busy the next two months plus looking to woo more ACC-caliber talent into the program.